When homeowners are faced with a roofing issue, they can usually find a temporary solution, whether this means staying with a family member or friend, or going to a hotel. Brick and mortar businesses don’t have this luxury, which is why Dayton, OH’s Kerrigan Roofing and Restoration is the roofing company your business can rely on. The staff has built a solid reputation for high-quality work and reliability among so many Dayton businesses. Their A+ rating at the Better Business Bureau and A rating on Angie’s List is proof of their dedication. Kerrigan Roofing and Restoration understands all businesses suffer under a faulty roof, which is why they use only the best materials to ensure the safety of you, your staff, customers, goods, and equipment. The roofing company is fully licensed, bonded, and insured, and they hold many accreditations and certifications, including being GAF Master Elite. If your commercial roofing needs are mainly repairs, Kerrigan Roofing and Restoration will work with speed, efficiency, and within a schedule, working best for your business. They have completed many projects subject to time restraints, such as churches continuing to hold services and apartment complexes with strict property management rules. They’ll work closely with you, so things run smoothly for everyone. For those needing a roof replacement, you can expect the same collaborative commitment. Whether it’s a large shopping center or a small office, they will find a solution best suited for your business; their experienced team can also design a roof that’s a perfect fit. Kerrigan Roofing and Restoration has been a trusted name in Dayton for many years and the staff continues to work hard to live up to it. Beyond commercial roofing services, they are also available for residential work. Call them today at (937) 848-6056 for a free quote. When your top priority is to have a roof over your head, you need to make sure your roof is in excellent condition. 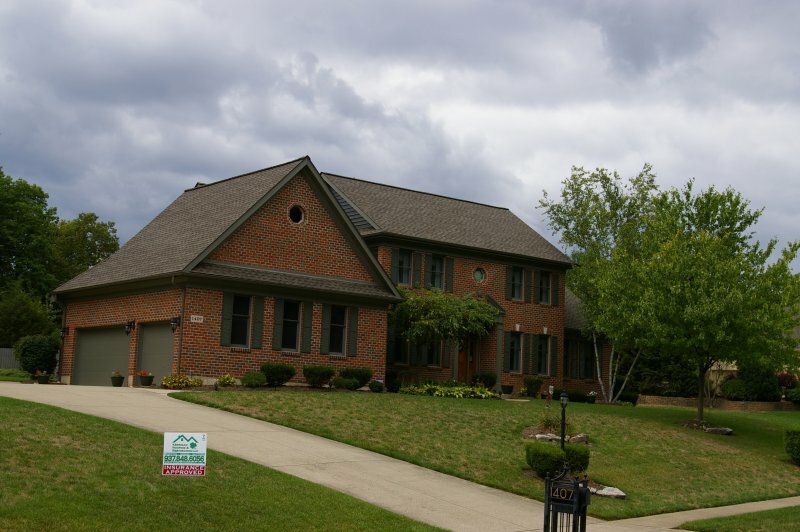 If a leak arises in your home due to the recent local downpours in Dayton, OH, you can trust Kerrigan Roofing & Restoration to provide expert roof replacement and repairs.Their team of professionals works quickly, but still provides quality service. Servicing both residential and commercial properties, their GAF-certified contractors are trained in a variety of roofing styles, including asphalt shingles, tiles, and flat or metal roofs. Has rain or hail left the standing water and ice dams to damage your roof and ceilings? Kerrigan Roofing & Restoration will stop by your home and conduct a free quote to find out exactly what treatment your roof requires. Once the work has been scheduled, the skilled contractors will show up to your home ready to provide effective storm damage repair for ceiling stains, blistering roof material, leaky skylights, or faulty gutters. In addition to essential repairs, Kerrigan Roofing & Restoration offers extra perks, like energy efficient upgrades, which can significantly lower your utility bills. 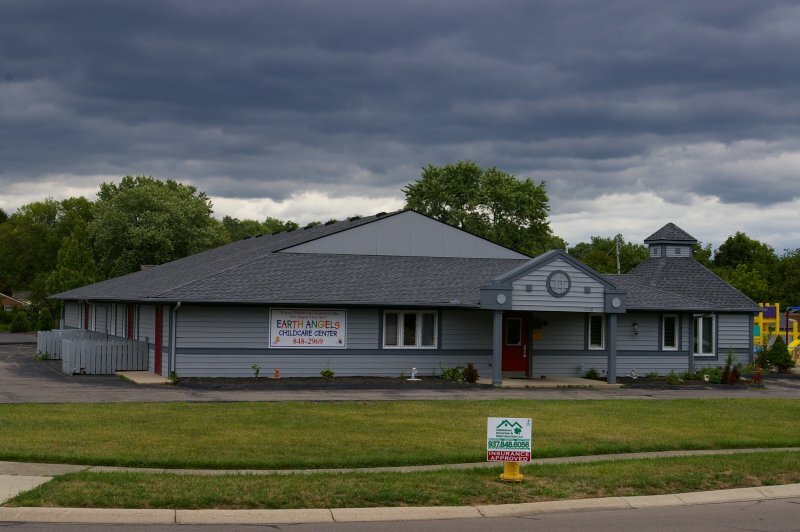 Whether the wind, hail, and rain is eating away at your home, or your roof is simply deteriorating with age, Dayton’s best roofing company will identify your problem and leave your home functioning even better than before it was damaged. Once the repair, replacement, or roof coating is finished, Kerrigan Roofing & Restoration will offer follow-up appointments and maintenance checkups, so you can maintain your roof’s well-being with the consistent vigilance of a trained expert. When your business is of equal investment to your home, you can also trust Kerrigan Roofing & Restoration to protect your life’s work with top-quality roof repair. Aside from single-unit small businesses, they can also execute repairs on multi-unit properties, even on the varied and complex roofs of churches. A roof leak can be a daunting experience, but Kerrigan Roofing & Restoration is prepared to make things easy. Call them at (937) 848-6056, follow their Facebook page, or visit their website now to set up your free roof repair estimate.